Receive a FREE limited edition "I Love you a Latte" lip balm (limit 1 per customer please)! 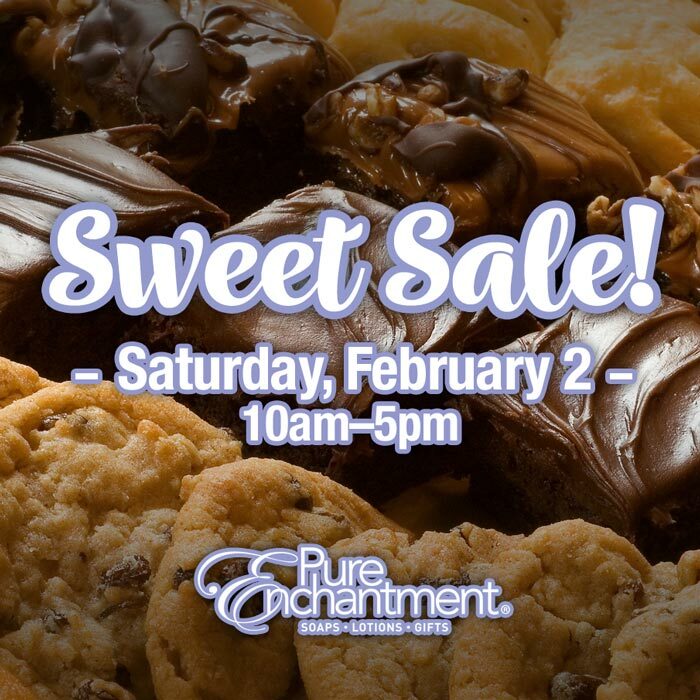 Come and join us at Pure Enchantment for our amazing Sweet Sale on Saturday, February 2nd from 10am- 5pm! Stop in and help yourself to a delicious variety of baked goods and hot drinks while you shop. You'll find amazing gifts and products reduced by as much at 75%. We're sweetening the deal even more by giving you 20% off all regular-priced Pure Enchantment products! And you can find extra savings on our already reduced priced, clearance items. At the time of checkout, spin the wheel to land on your additional savings up to 25% off! (additional sale valid on clearance sale items only).